Carpigiani established itself on the market in 1946 as a leader in the manufacturing of machinery for the production of the famous italian ice cream. Currently, the company manufactures 11 lines, 300 models and over 2,000 versions - the widest range on an international level of machinery for the production of artisan ice-cream, milk-shakes, frozen yogurt, whipped cream, creams and other equipment for ice-cream, pastry-making, caterers, frozen yogurt stores, soft ice-cream stores and bars. Innovation is at the basis of Carpigiani’s technological leadership. A considerable part of the turnover is infact continually reinvested in research and in the design of new components to provide our worldwide clients with machinery that is adaptable to different production needs, ergonomic and functional, safe, energy saving and, most of all, highly reliable and durable: all these things while complying with the strictest food security regulations. Carpigiani is the pride of the best “made in Italy”, both for the machinery it manufactures and for the final products that its technology is able to create. “Over the past few years, we felt the need to upgrade part of our technological resources,” explains Luigi Casagrande, engineering manager. “Together with the development of new machinery, Carpigiani has increased its commitment to engineering by identifying and purchasing new plants employing state-of-the-art technology in line with our production needs and with the projects we will be working on. To maintain our position as leaders in the market, we must excel in every sector and keep up with the latest technological developments. We need to do more and do better, which sometimes also means investing and tackling complex yet unique challenges that help us stand out on the global market. All of this must be done while keeping the characteristics and the peculiarity of the sector in mind, as machine components come into contact with milk and other natural ingredients. We must therefore pay great attention to the materials and shapes that characterise the machinery and handling processes, especially those concerning the mixing of the ingredients, which is carried out at low temperatures without risk of contamination. 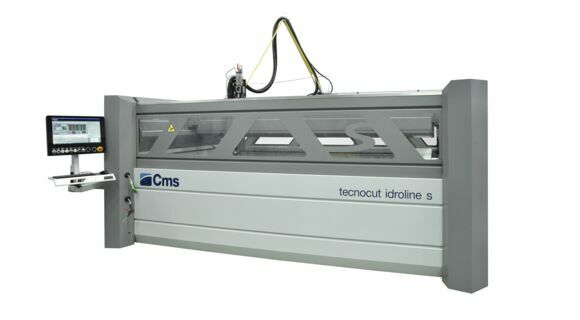 The recent introduction of the CMS Tecnocut IDROLINE S waterjet cutting machine is part of this innovation strategy, and represents a new era for our technological equipment - it is in fact the first waterjet cutting machine we have ever used and our expectations are extremely high. “During the first few months we started using IDROLINE S, our intuitions were confirmed - the prototypes of the piece we want to start producing fully satisfied our expectations,” stresses Luigi Casagrande. 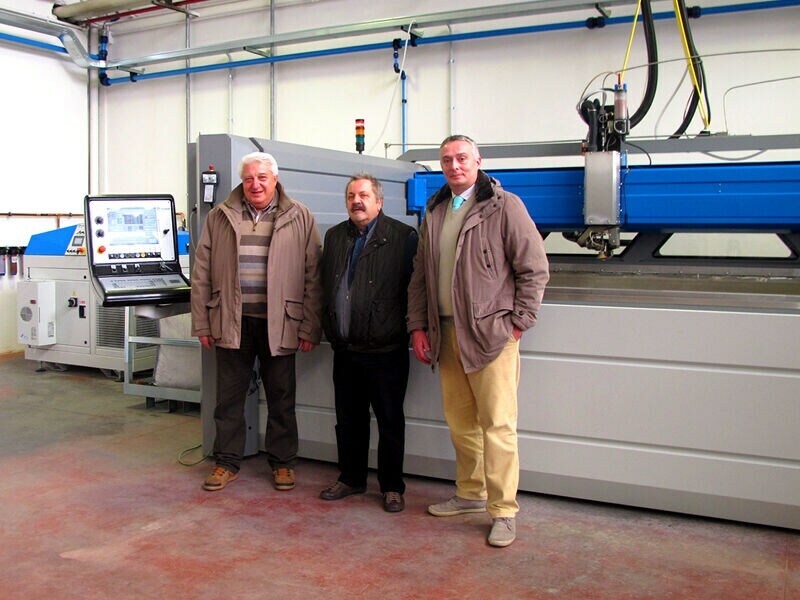 “Thanks to its cutting-edge technical characteristics and versatility guaranteed mainly by the 5 axis head and the tube spindle, it is proving to be the perfect machine to satisfy our needs. In particular, the prototypes made enabled us to save a considerable amount of time and are practically finished. 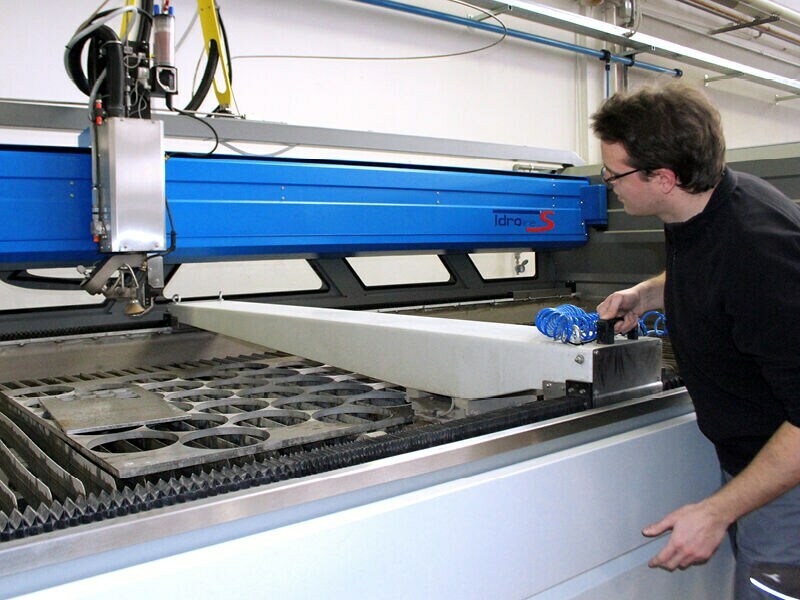 In theory, the cylindrical piece we would like to produce, which requires quite complex cutting, could be processed with laser cutting, but the heat would generate significant structural problems (tensions on the consistency of the material but even distortions of a few millimetres which would be unacceptable). Waterjet cutting avoids all this. This piece is not a real shaft and is part of the mixing-shaking system of our ice-cream machines, where stainless steel comes directly into contact with food ingredients - therefore the design is required to integrate perfectly and strategically with the system with a practically perfect functionality. If manufactured this way, the piece does not present critical points such as weldings or sharp edges.